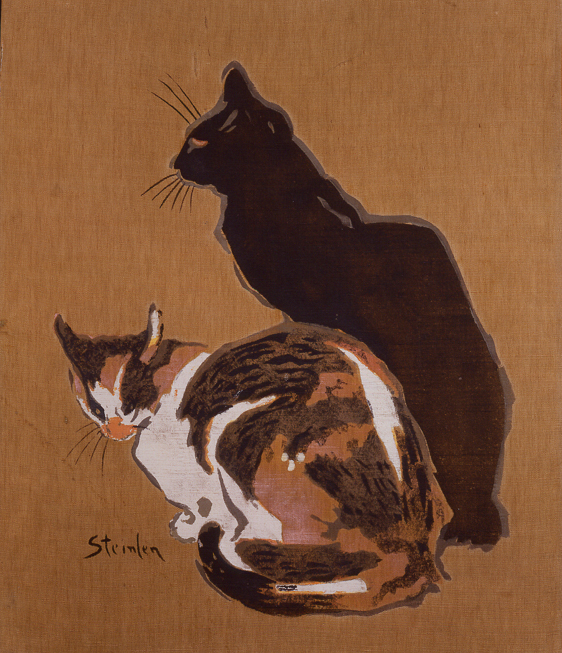 The Swiss illustrator and sculptor Theophile Alexandre Steinlen (1859-1923) was one of the foremost social commentators of his day in turn-of-the-century Paris. 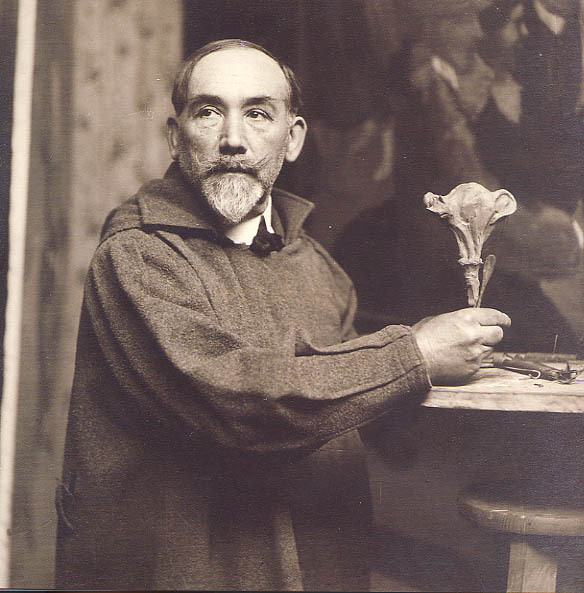 He was a multi-talented artist; a painter, draughtsman, engraver and sculptor. 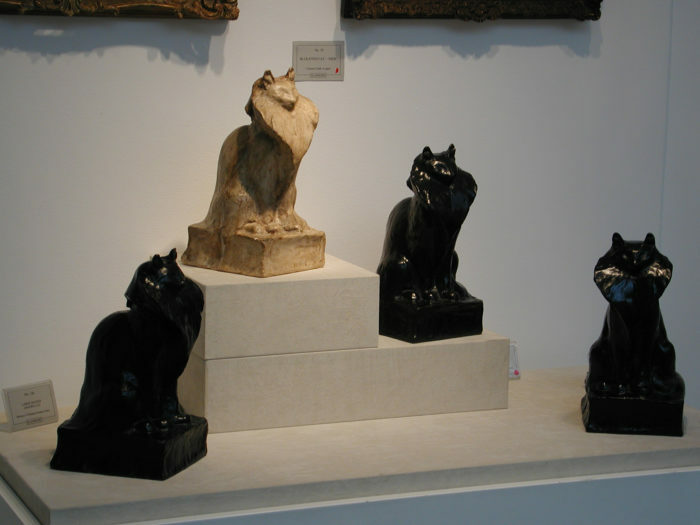 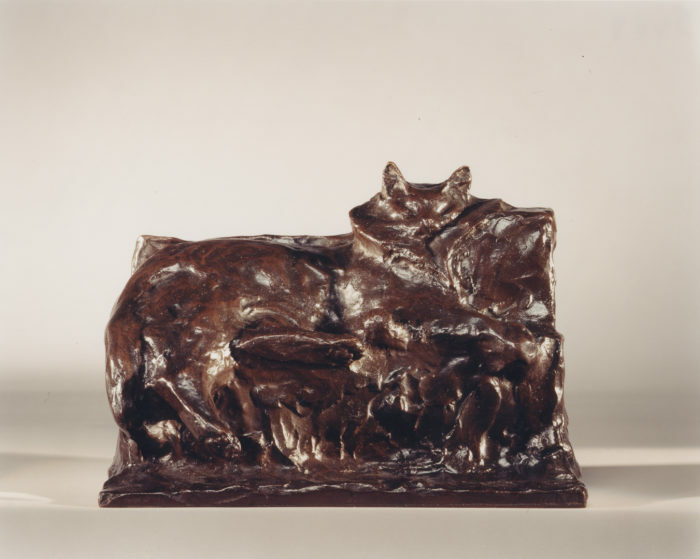 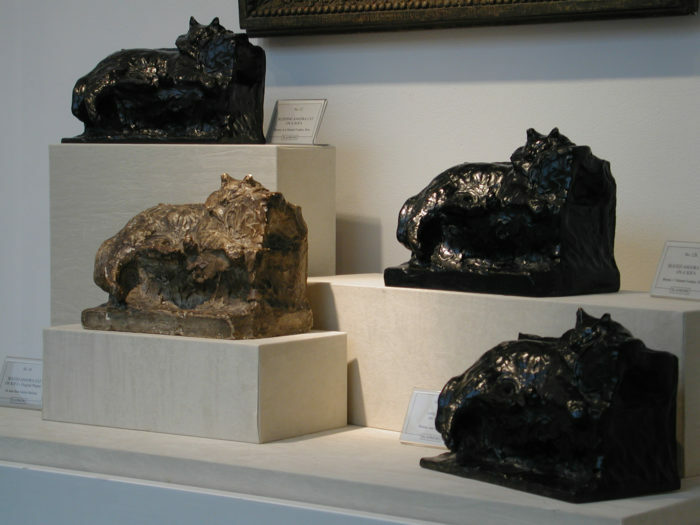 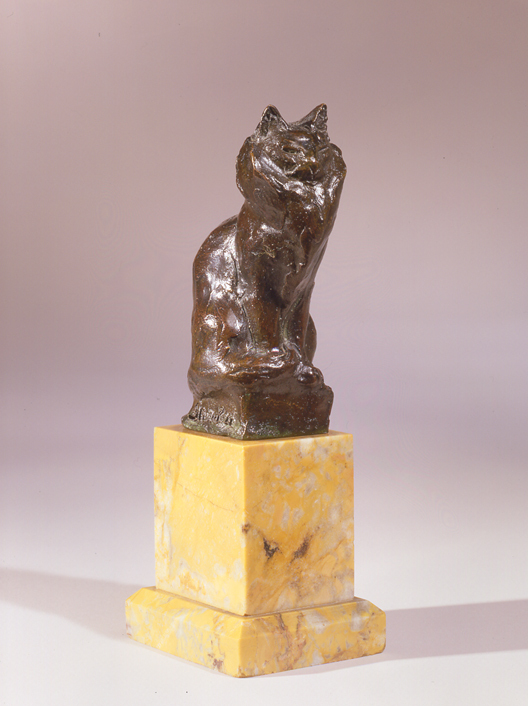 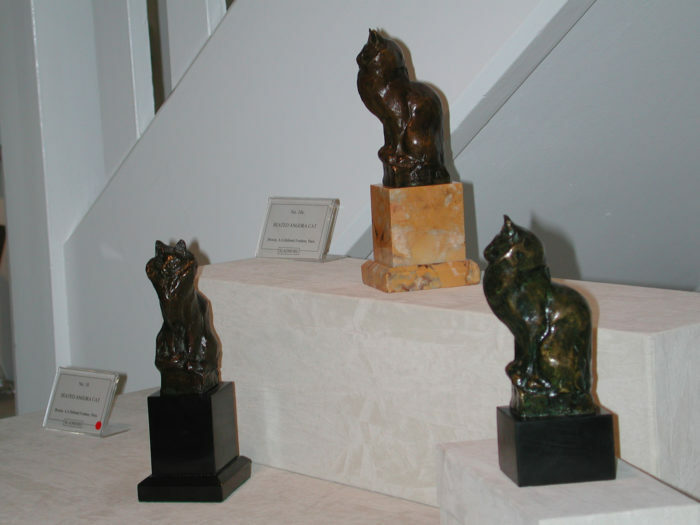 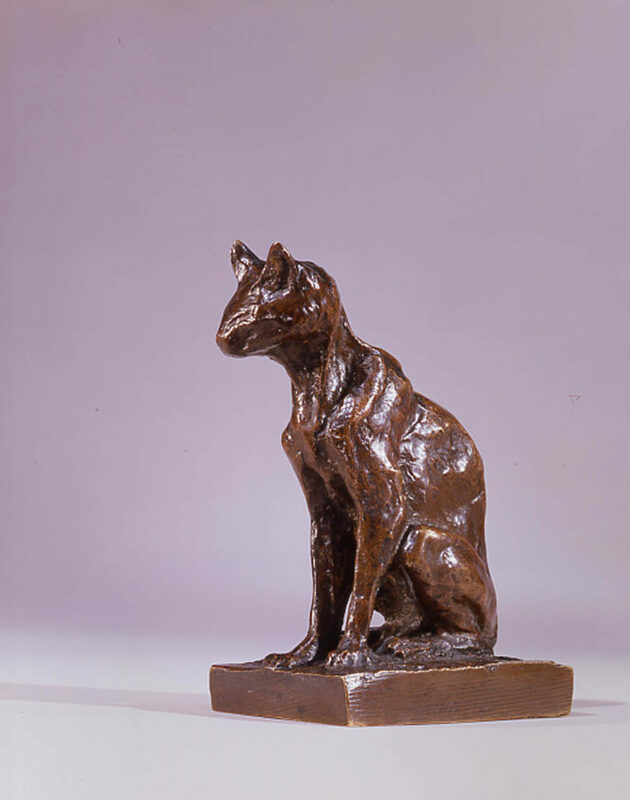 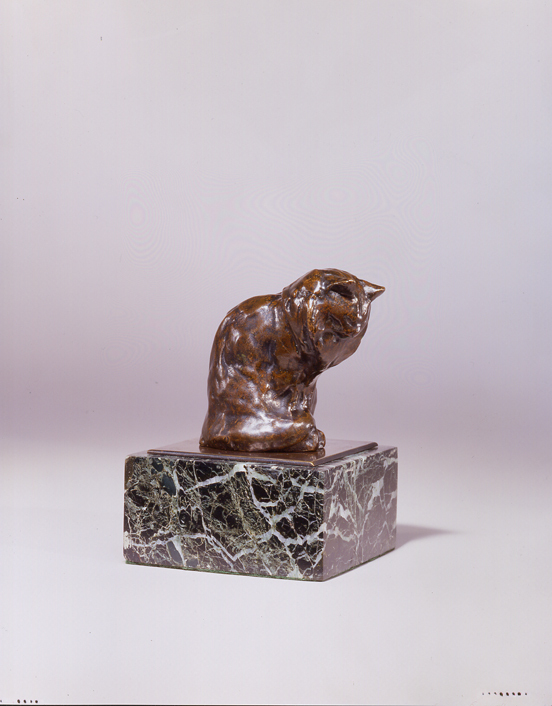 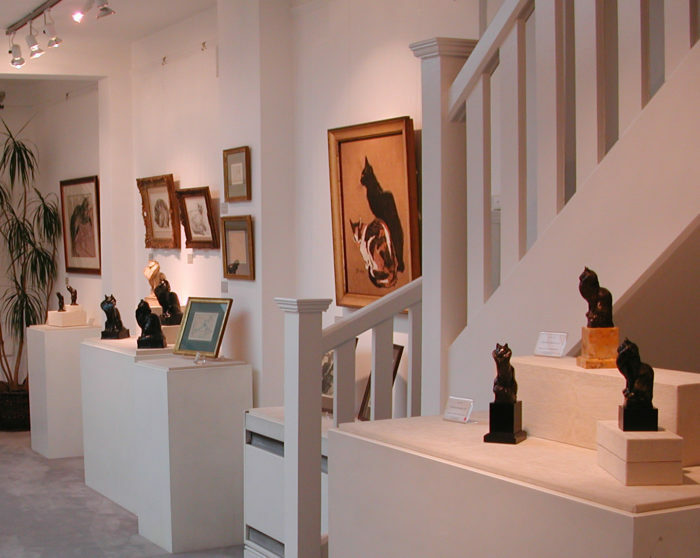 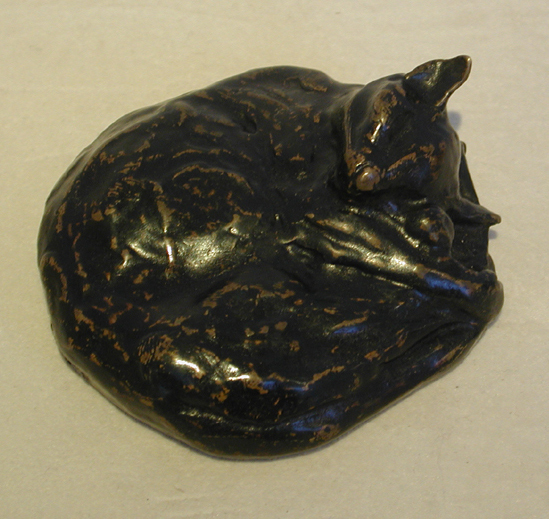 By far the most notable of Steinlen’s sculptures are his depictions of cats. 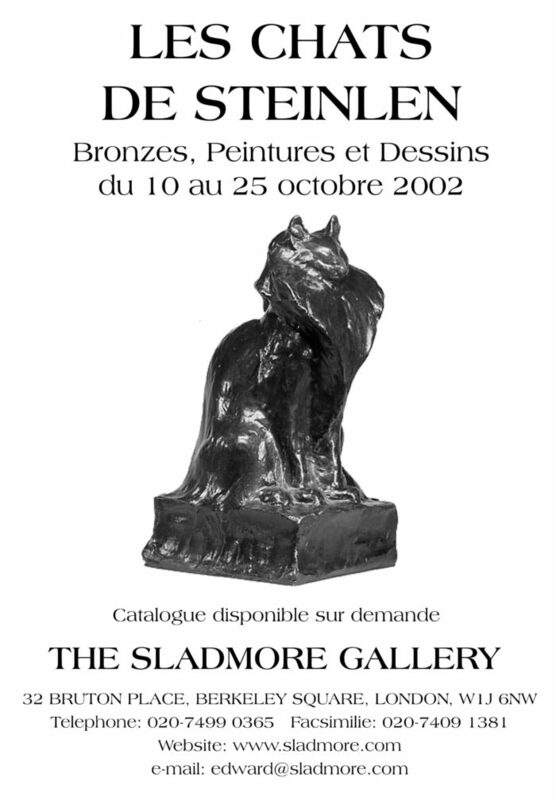 Indeed, in his studio at 21 rue Caulaincourt, he was surrounded by cats, an animal with which he had a life-long fascination. 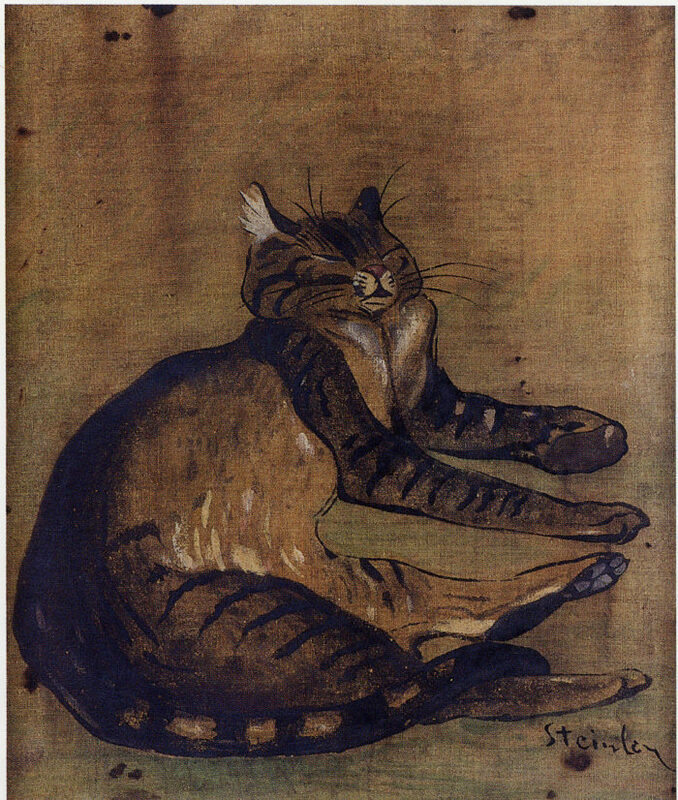 He produced numerous drawings and paintings of this motif throughout his successful career. 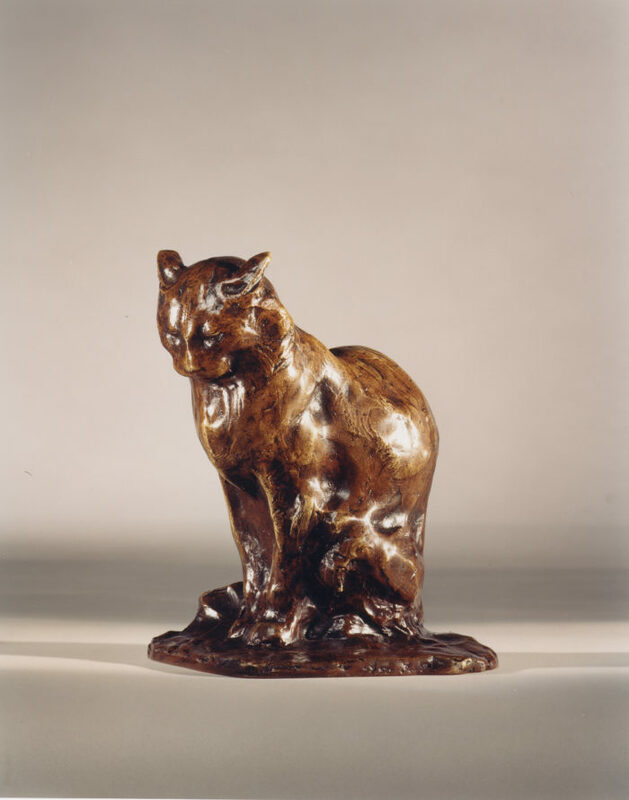 His love of felines found expression not only in numerous commercial posters, but in many other artistic media including sculpture, painting, drawing, wall painting, editorial illustration and cartooning. 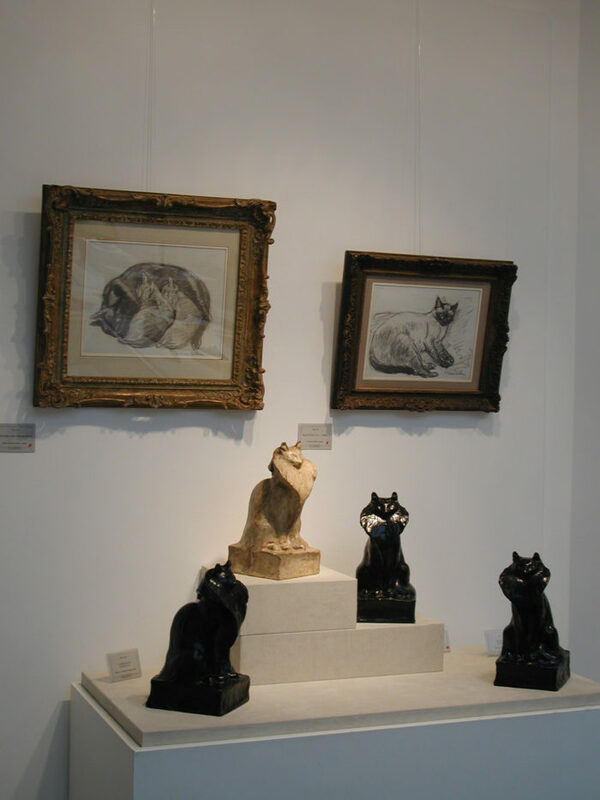 This exhibition concentrates on these works and brings together sculptures, paintings, pochoirs and drawings and is organised with the help of Madame Claude Orset.